We’re gonna talk sports stuff…..athletic(y) things…. you are forewarned. I never understood, or totally got the whole “off season” thing. I mean, I understood my favorite basketball games came to an end, or that football came to this great culmination in February that sometimes left grown men crying and gnashing their teeth and we entered the off season which meant the TV wasn’t blowing up with the current games. After a season was over the athletes were off to Disneyland, right ? Easy, breezy do nothing for months? Not so fast…. 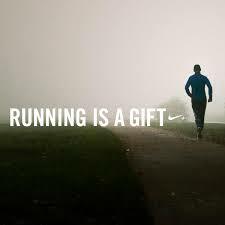 Even when I got into running a few years ago, I heard about it, but never grasped it… or honestly thought much of it. Enter this past year… and my running….. which has been the most intense since I started. I’ve crashed as ungracefully into off season as a fawn standing on new legs. 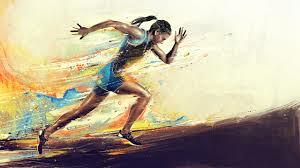 The term is defined by Webster’s in this way: a time of suspended or reduced activity; especially : the time during which an athlete is not training or competing. So, my training started last August with my goal for a December marathon. You may have read in an earlier post that I turned 50 last year and decided to run a 50K sometime in my 50th year… to celebrate…… haha and I found one this past March. I slammed out the marathon in December, took it easy through that month, and had to commit fully by January that I was going to do the 50K. My thinking was my training was already up there, might as well keep on towards the 50K. Training ramped back up this time with Saturdays long runs getting longer, and ultimately one Saturday just a flat 5 hour run which put about 28 miles under me. Then came March…. the culmination time for all my training…. two half marathons and a 50k to wrap the month and put the icing on the cake. My mileage came slamming down like your speed when you see a cop. I moved through April really letting my body just relax and focusing on other activities I enjoyed. And then this pesky heel issue that came up seemingly outta nowhere really helped me keep my mileage down to….nothing…. I did 3 miles Tuesday and 4 today… trying to keep it easy….it just felt so good to be back out there. This is when I got it. For the first time in the 5 years I’ve been running I’ve really understood what it means to go into an off season. My spring races are done. I might do some shorter 5-10k during the summer but my next “real” race will be a December marathon. Training will kick up for serious in August. I love planning out my runs and having them written on my running calendar. Perhaps I just love the absolute structure of it and the feeling I get writing those miles in after I do them. Not to mention, in a weird way, the feeling my body has after it’s worked really hard…. I know this time down is essential and necessary for my body to get stronger and stay healthy. It doesn’t mean I won’t be running it just means seriously reduced mileage. I do want to keep a good base long run of 12-13 miles so my mind stays in that zone. I feel that (for me ) it’s so mentally important to keep engaged with those numbers. Here’s what I do know. Off season doesn’t mean no training. It just means training differently, smarter, with a focus to build and strengthen my body to take on the rigors of fall training again. I’ll be spending more time on my bike, lifting weights, boxing, doing body weight work and if I can apprehend one somewhere cheap, a rowing machine ( doesn’t that sound fun ?? 😉 oh yeah, and of course a few running days thrown in. I will learn to embrace off season in a positive way and look for new ways to add to my training… which actually in the long run…. builds a overall better, stronger and more fit body. Ok, my fearless 1.5 readers, anyone besides me have to come to terms with this idea ? Let me hear from you and how you handle it =) Do you have an off season ? Or do you just move through the year with your workouts ? And a most precious one…..
You’re an inspiration! Love this. I’m training for my first ever 5k!